Schrodt, Barbara. "Barbara Aileen Wagner". The Canadian Encyclopedia, 04 March 2015, Historica Canada. https://www.thecanadianencyclopedia.ca/en/article/barbara-aileen-wagner. Accessed 26 April 2019. 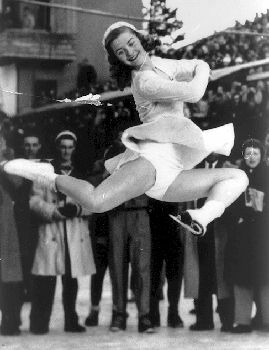 Barbara Aileen Wagner, figure skater (b at Toronto 5 May 1938). Wagner and partner Robert Paul formed the outstanding Canadian figure skating team that dominated the international pairs event 1957-62. They started skating together in 1952 in Toronto. In their first international experience at the 1956 Cortina Olympics they placed sixth. Following the retirement of Canada's Frances Defoe and Norris Bowden, they won the Canadian, N American and world championships in 1957. They performed flawlessly in winning the 1960 Squaw Valley, Calif, Olympics pairs event; all 7 judges awarded them first place. 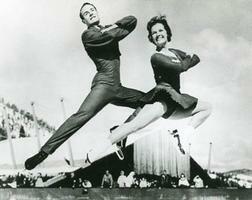 As professionals, they skated with ice shows until Wagner's marriage in 1964. 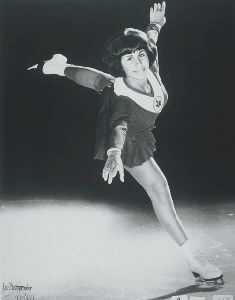 She became a coach and teacher, serving as principal coach of the Ice Follies.